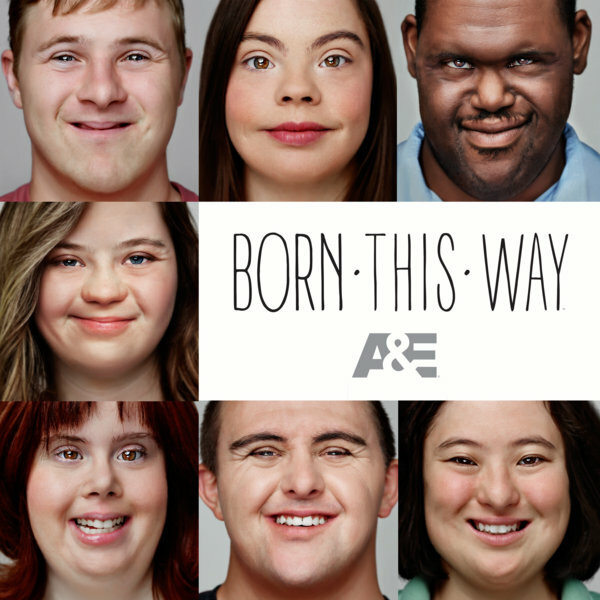 I have to talk about this show on A&E Born This Way and no, it has nothing to do with Lady Gaga! Born This Way was a 6 part series and you can watch them all OnDemand and I DEMAND you do! Before I get ahead of myself here is a little about the show…. I have to encourage you to watch this for many reasons the first being just to open our eyes and expand our knowledge of people living with Down Syndrome. The whole theme of this show is “Don’t Limit Me” and this show will really show you so much and speaks so true to that motto. Another reason to watch this show and actually the main reason I love this show is the parents. Each of one the people featured on the show have their parents on the show as well and I have never seen such love on a reality TV show before. This group of parents are the most loving, kind, generous and honest group of people I have ever seen. Really you guys, the way they live their lives so full of love and hope really touched me. This show is about GOOD people, really GOOD people and we don’t always see that on TV and it is such a breath of fresh air. SO friends, get OnDemand and watch this series…. you will be so glad you did. Previous Post Whats for Dinner Wednesday! Nicole, I am not sure if you ever read her blog. You must start reading it, http://www.kellehampton.com! (I know I have shared some of her posts on FB in the past. )Following her life for years with daughter Nella, has given me an entirely different view of childrean with Downs Syndrome, and their capabilities. The families are amazing and all the opportunities that are out there for the kids now. Ruby's Rainbows is another organization I would love for you to check out. It is set up to help DS kids go to college! They can lead normal lives, with the love and support of others!As always, thanks for sharing about this show! I am excited to go back and watch this series.